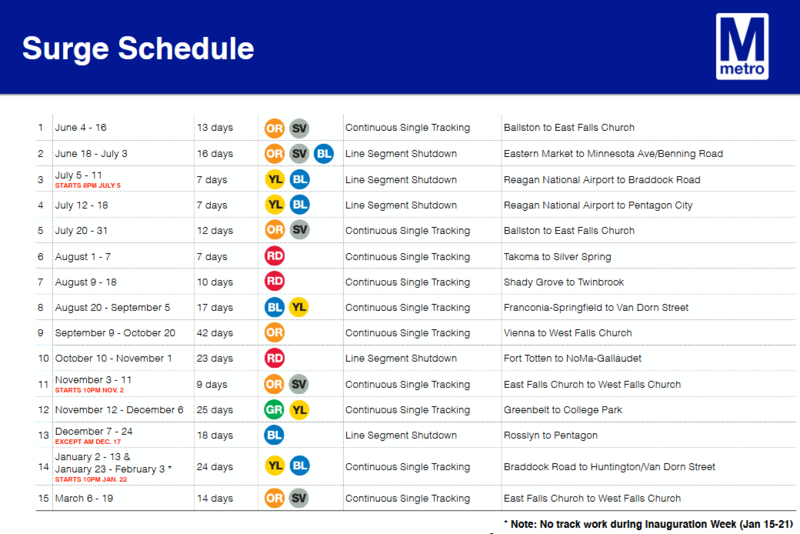 Editor's note: WMATA released its revised SafeTrack repair schedule (below) May 19, 2016. Ready or not, here it comes: SafeTrack. The once beloved, now bemoaned, Metro system in the Washington, DC, area is going to finally get the track safety repairs it badly needs. But, to do it, large segments of Metro lines will be shut down for week-long repairs over the next year. And you thought your commute was bad already? Sitting in a bus, train, or car for hours on their way to and from work. Or, firing up their laptop at home and getting to work as soon as they’re done with that first cup of coffee. Virtual work is becoming more common in associations and nonprofits, but many organizations still rely on staff coming into the office every day. 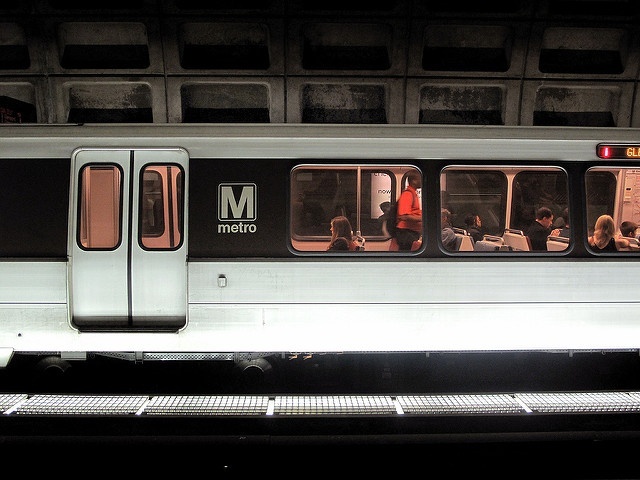 During Metro shutdowns, your organization may decide to let staff work from home instead of asking them to spend hours each day trying to get to work. Start preparing now for virtual work so you’re ready when SafeTrack disrupts your staff’s lives. Test any system or technology that staff will rely on when working remotely. Put a person in charge of each IT function and system. Establish who is going to be on call to help staff who are working from home. Regardless of the whims of Metro (or the edicts of the Federal Transit Administration), DelCor Partner clients can access support any time at delcor.com/support. At any given time during shutdowns and repairs, different staff will be affected. Throughout the SafeTrack operation, publish real-time information where all staff can see it. Include updates on who’s in the office and who’s working from home. Ask staff to update their shared Outlook calendars with this information, too. If you plan to commute to work by car, load up on audio books, podcasts, non-alcoholic beverages, and stress balls—that tradeshow swag finally comes in handy! Ask the CEO or senior staff to remind everyone about the expectations for checking voicemail and email. And, remember, checking email constantly is not a productive way to work. Instruct staff to change their voicemail greeting and email auto-reply to reflect working conditions. Tell them to forward their personal extensions to their mobile phones. Print remote access instructions for the network, phone, and other critical systems along with the IT support phone number(s) on double-sided business cards and distribute them to all staff. Keep the main office voicemail updated with the workplace status. Use your social media accounts to also provide updates. Remind staff how to work securely from home. Explain why they should use the terminal server, VPN, SharePoint, or other preferred platform to securely access and store files. Make sure everyone knows their personal passwords for network access, voicemail, and other systems. It’s a good time to remind staff to use a preferred password management app if you have one. If anyone needs a password reset, do it now. Share the procedures for using your association’s preferred platform for phone and web conferencing (virtual meetings). Ask staff to test their audio and video connections before leaving the office to prevent problems later at home. Collect a list of staff and key member contacts, including cellphone numbers, email addresses, and any other contact info staff will need, like IM or social media usernames. Provide written instructions on how to access the network, email, voicemail, instant messaging, web conferencing, and IT support remotely. Ask staff to test their access and have any problems fixed before they’re scheduled to work from home. If employees don’t have access to a work-issued laptop (preferred solution), tell them how to export their work browser bookmarks to their home computer. A Firefox or Chrome account makes this easy because those browsers can sync between multiple computers. Make sure everyone knows or has access to all their passwords, and make sure they work. If they don’t, do a reset right away. Set up out-of-office messages for both systems, informing people about their anticipated availability. Forward their work phone to their mobile phone. Know how to turn their mobile phone into a hotspot in case their wifi at home goes on the blink. Check their voicemail and email at specified times throughout the day. If they have a work-issued laptop, tell them they have to bring it home, and to never leave their laptop or any other equipment in their vehicles—bring them inside with you and keep them secure (including from little hands or playful paws). Don’t want to go it alone? Contact our DelCor team to find out how we can help you develop business continuity and disaster recovery plans, as well as virtual work processes.